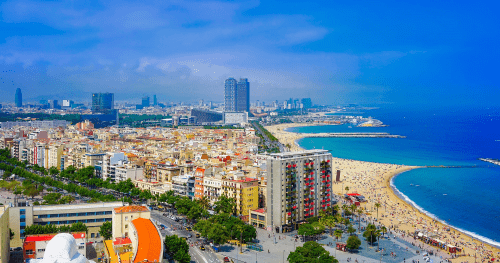 Are you planning a trip to Barcelona and you think the Spanish you learned in high school may be enough to get you by and make you pass as a worldly traveler? Think again! Although people in Barcelona can speak Spanish (and English, FYI), they actually speak Catalan. The two languages are similar but there are differences you need to be aware of. Catalan is a Romance language spoken in Catalonia, a part of Spain that used to be the Principality of Catalonia. As far as formation is concerned, Catalan is in the Gallo-Romance branch of the Romance language family; therefore, the language is closer to French. Catalan is not a phonetic language, meaning that you do not write it like you pronounce it. Spanish is a Romance language originating in the region of Spain. 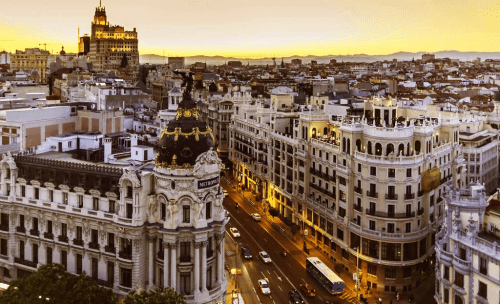 Following the colonization era, Spanish has become the second most spoken language in the world, after Mandarin Chinese. The language is derived from Latin and it is the Ibero-Romance branch of the Romance language. Spanish is a phonetic language, meaning that it is written like it is pronounced. Although they are both Romance languages and they are both spoken on the territory of Spain, there is more than one difference between Catalan and Spanish. Catalan is a language spoken only in Catalonia, a region in Spain, whereas Spanish is the official language in Spain and it is the second most spoken language in the world. Also, Catalan is on the Gallo-Romance branch of the Romance family while Spanish is on the Ibero-Romance branch. This makes Catalan more like French, while Spanish is closer to Portuguese. As far as phonetics goes, Catalan is not a phonetic language, but Spanish is. All final vowels and consonants are pronounced in Spanish, while in Catalan you can skip your final “-o” or “-n” letters. When it comes to vowels, Spanish only has the accute accent, whereas Catalan also has the grave accent. On the other hand, Catalan has stress-marked vowels, which Spanish does not. Other differences consist in the fact that Catalan has the periphrastic preterite past tense, which no other Romance language has. Another oddity consists in the dot places between two “l” letters. There is no “z” sound in Spanish, but there is in Catalan. On the other hand, Spanish has the “ñ” sound and letter, whereas Catalan does not have it.